Cast and crew of “Maskara” meet the public during the gala premiere June 26.
with (left to right) Boots Anson-Roa-Rodrigo, Ping Medina and Ina Feleo. Back in the 70’s CFA produced Batingaw (The Bells of San Jose), a full-length movie on family, community and responsible parenthood. It won two awards in the 1974 Asian Film Festival and one FAMAS award for Best Supporting Actor (for Van de Leon). In 1984, CFA again came out with Ishmael Bernal’s Sugat Sa Ugat, with land reform as the central theme. Sugat was chosen as an entry to that year’s Berlin Film Festival. It was distributed internationally by a German film company. This year, CFA relives its tradition of using film to talk about the country’s most pressing issues by producing an independent film: Maskara. Writer Sal dela Tierra explores integrity and corruption through romance, suspense and action. 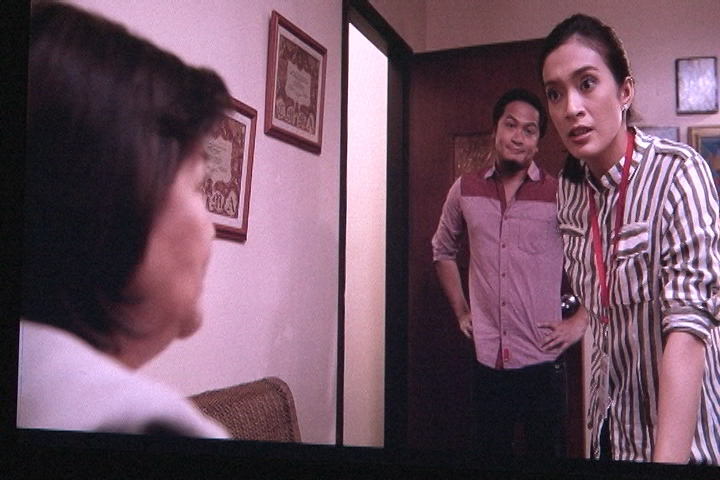 Maskara features Ina Feleo, Ping Medina, Lance Raymundo and Lester Llasang. The film is co-written and directed by Genesis Nolasco. Principal photography is underway and film is expected to be premiered in February 2015 during the anniversary of the People Power Revolution.